Deacon Mike Lowe accepted Jesus Christ as his Lord and Savior in 1989 and has been a member of Bethany Baptist Church since 1993. In 1994 Deacon Lowe became a member of Bethany’s Security Ministry where he serves as the Board of Directors and also assists with the various security functions of the Church. 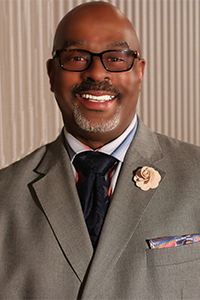 Additionally, Deacon Lowe is a member of the Safehouse Men's Ministry where he serves as a teacher, prayer leader and a member of the Board of Directors. In 1996, Deacon Lowe was ordained as a Deacon and presently serves on the Board of Directors of the Deacon Board where he supports the vision of the ministry and Church. In July of 2017, Deacon Lowe was appointed as the Director of Ground Transportation where he coordinates transportation for individuals who need a ride to Church for Bethany’s main services along with managing and training all drivers of the ministry.